About a year ago, I wrote a review on the ZealSound HDE-300 earphones, which sported a wood housing. In the introduction for that review, I talked a little bit about nature and what it might have to offer for acoustics and sound, especially with wood and its history in many different stringed instruments. I think it is unnecessary to continue to explain why wood is good to use for sound. However, this week we have the Tesoro A3 Tuned In-Ear Pro earphones, which does not attempt to harness all the acoustic properties of wood. Instead, it goes down a more futuristic route compared to wood with a metal housing for durability. Many different instruments are also designed with different types of metal, such as brass and some woodwind instruments, although I think the Tesoro A3 Tuned In-Ear Pro headphones are probably not made out of the same metal. Acoustic properties of metal can be good, but just like wood, it depends on more factors than just the material. For example, these smaller sized earphones do not necessarily house a whole lot of space for sound to bounce around. As well, the sound is directly aimed into your ear instead of allowing the sound waves to bounce around beforehand. Both of these factors play a bigger role than the use of material for acoustics. Regardless, the metal does offer a sense of quality as well as durability. 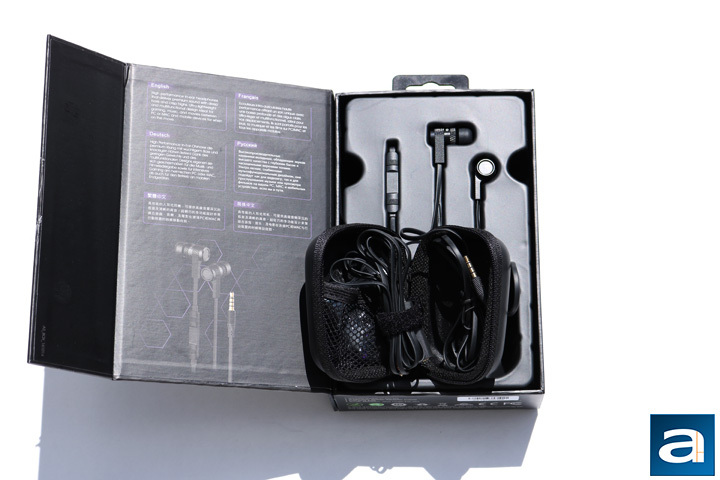 Let us read on to find out what the Tesoro A3 Tuned In-Ear Pro has to offer. The Tesoro A3 Tuned In-Ear Pro headphones arrived in an absolutely massive shipping box relative to the product inside. 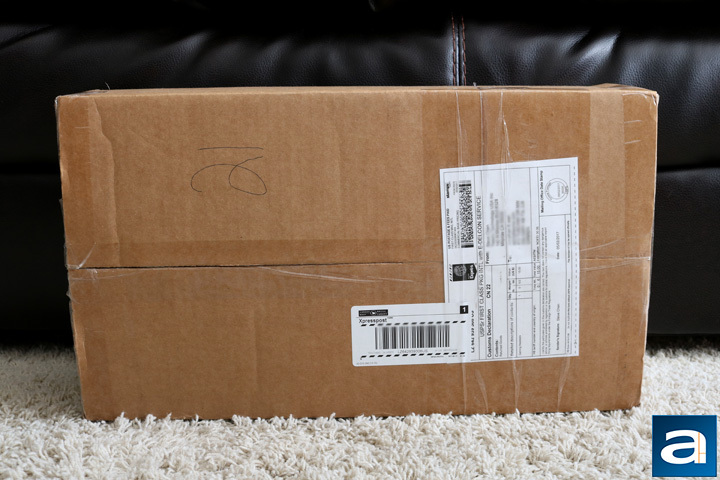 The large brown corrugated box shipped all the way from Milpitas, California to Calgary, Alberta via USPS and then Canada Post once it reached Canadian ground. The shipping box is in exceptional condition. Even the corners were barely beat up. I did not really worry about the product inside. It did cross my mind if there was not enough cushioning, then the product would have been bouncing around inside the shipping box, which would have been bad. Fortunately, there was plenty of cushioning to keep the small retail box safely in place during transportation. All in all, I think great care went into keeping the contents of the shipping box safe. I really like the colors Tesoro uses for the retail packaging, since I have always thought purple and black look good together. The purple on the front is not as distinct as on the back, and instead the purple on the front is tinted with a slight grey. At the top left, we find the Tesoro logo with the duller purple. Below the logo is the product name in grey, while even below that is an image of the earphones. A couple of features are highlighted at the bottom with some more of the dull purple color. Tesoro chose to have three features in text, while another four are in pictures, which is an interesting combination. The left side of the retail box has all the technical specifications, while the right just has the product name again. The back of the retail box advertises a couple more features with a much darker and more distinct purple color, which I like a lot more than the dull color found on the front. 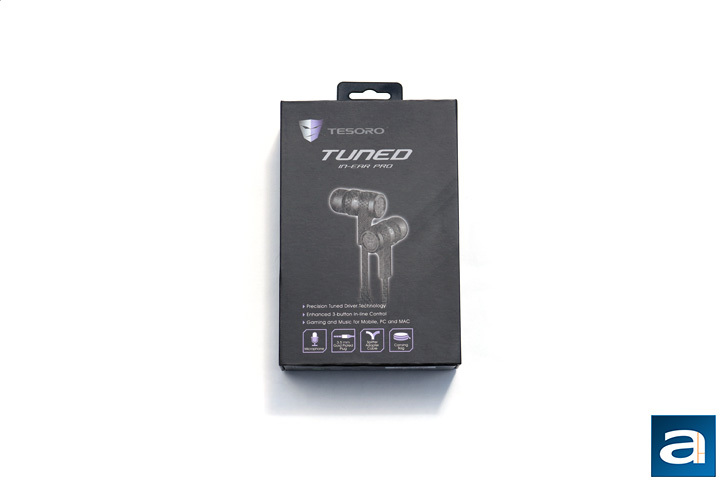 The Tesoro A3 Tuned In-Ear Pro earphones' retail box easily opens up by a magnetic flap on the right side. On the inside of the flap, there is a description of the product in multiple languages, while the product is found on the right. There is a large plastic shell holding the earphones and the in-line remote in place. Also, in the plastic shell is a small hard carrying case where all the cables are stored. After lifting out the plastic shell, there is a small manual explaining everything about the headphones. It also tells us of the one year warranty, which is not very long. Otherwise, inside of the carrying case are three different sizes for the ear tips and a cable splitter, which lengthens the cable by quite a bit. Overall, the contents are well packaged to keep it all safe and secure during any movement. posted 13 hours and 38 minutes ago, with 6 posts. posted 13 hours and 41 minutes ago, with 58 posts.